In accordance with Chili Piper’s Master Subscription Agreement, Chili Piper may access User Data only for the purpose of running the Services, addressing service or technical problems and helping our Users take advantage of our Service. Only our personnel serving these functions is authorized to access User Data, and only for those purposes. Chili Piper will not review, share, distribute, or reference any such User Data except as provided in Chili Piper’s Master Subscription Agreement, or as may be required by law. Chili Piper may also receive information about Users from other sources, including third parties from whom we have purchased data, and combine this information with Data we already have about you. This helps us to update, expand and analyze our records, identify new Users, and provide products and services that may be of interest to you. Chili Piper acknowledges that you have the right to access your personal information. If personal information pertaining to you as an individual has been submitted to us by a Chili Piper Customer (typically your company) and you wish to exercise any rights you may have to access, correct, amend, or delete such data, please inquire with our customer directly. Chili Piper uses Web Site Visitor Information to operate and improve Chili Piper’s Web sites, including information collected through the use of commonly-used information-gathering tools, such as cookies and Web beacons, standard information from your Web browser (such as browser type, language and time), your Internet Protocol (“IP”) address, and the actions you take on Chili Piper’s Web sites (such as the Web pages viewed and the links clicked). We use this Visitor Information to analyze trends, administer Web sites and Services, track users’ movements around our Web sites and Services, serve targeted advertisements and gather demographic information about our User base and improve our Services. More details are provided below. When you visit one of Chili Piper’s Web sites, Chili Piper’s servers send a cookie to your computer. Unless you choose to identify yourself to Chili Piper, either by responding to a promotional offer, opening an account, or filling out a Web form (such as a “Contact Me”), you remain anonymous to Chili Piper. Chili Piper may use Web beacons to compile information about Visitors’ usage of Chili Piper’s Web sites and interaction with emails from Chili Piper. Web beacons are clear electronic images that can recognize certain types of information on your computer, such as cookies, when you viewed a particular Web site or Service tied to the Web beacon, and a description of a Web site or Service tied to the Web beacon. Chili Piper may place Web beacons in marketing emails that notify Chili Piper when you click on a link in the email that directs you to one of Chili Piper’s Web sites. Chili Piper uses Web beacons to operate and improve Chili Piper’s Web sites, Services and email communications. We may gather additional such as your Internet Protocol (IP) address (or the proxy server you use to access the World Wide Web), device and application identification numbers, your location, your browser type, your Internet service provider and/or mobile carrier, the pages and files you viewed, your searches, your operating system and system configuration information, and date/time stamps associated with your usage. Due to Internet communications standards, when you visit or use Chili Piper’s Websites and Services, we automatically receive the URL of the website from which you came and the website to which you go when you leave our Website. This information is mostly used to provide a better experience to our Users and Visitors. For example, Chili Piper uses Visitors browser clock to display calendars in their local time. Chili Piper may use Data about Chili Piper Visitors for marketing purposes. You may manage your receipt of marketing and non-transactional communications by clicking on the “unsubscribe” link located on the bottom of Chili Piper’s marketing emails. Chili Piper posts a list of Users and testimonials on Chili Piper’s Web sites that contain information such as Customer names and titles. Chili Piper obtains the consent of each Customer prior to posting any information on such a list or posting testimonials. In order to provide our Services, we may need to access data about your Contacts. For example we may use company size to route a meeting with a Contact to a particular individual in your company. We do not store this data. We access it in real time from the system of record you gave us access to, such as your CRM, and only use it as part of the transaction. Chili Piper also needs Contact Information to create a meeting invite or send a meeting reminder. Chili Piper stores a copy of the meetings it creates and the minimum Contact Information needed for these purposes, such as email address. Chili Piper does not share, sell, rent, or trade any information with third parties for their promotional purposes. Chili Piper uses a third-party service provider to manage credit card processing. This service provider is not permitted to store, retain, or use Billing Information except for the sole purpose of credit card processing on Chili Piper’s behalf. Chili Piper reserves the right to use or disclose information provided if required by law or if Chili Piper reasonably believes that use or disclosure is necessary to protect Chili Piper’s rights and/or to comply with a judicial proceeding, court order, or legal process. Chili Piper currently stores Data in the United States. To facilitate Chili Piper’s global operations, Chili Piper may transfer and access such information from around the world, including from other countries in which Chili Piper has operations. This Privacy Statement shall apply even if Chili Piper transfers Data from other countries. Chili Piper retains your information during the time in which you have an account to use our Services and for a reasonable period of time afterward, typically three months. You can choose to have us keep this information for a longer or shorter time by contacting us. We also may retain your information during the period of time needed for Chili Piper to pursue our legitimate business interests, conduct audits, comply with our legal obligations, resolve disputes and enforce our agreements. Chili Piper uses robust security measures to protect Data about Chili Piper Users, Visitors and Contacts. 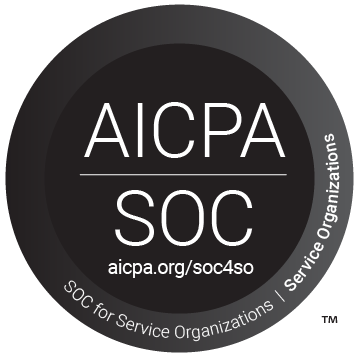 We are SOC2 Type 2 Compliant. Chili Piper reserves the right to change this Privacy Statement. Chili Piper will provide notification of the material changes to this Privacy Statement through Chili Piper’s Web sites or by email at least thirty (30) business days prior to the change taking effect. This document was last updated on July 20, 2017.